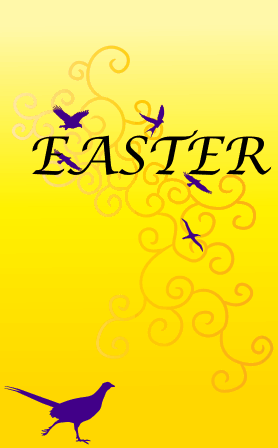 This Easter Card features a pheasant scurrying across the ground. 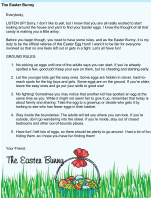 This Letter from The Easter Bunny is available in two versions: a free, ready-to-use version and a $5 editable version. The $5 version can be edited with Microsoft Word. The editable version can be customized with your child's name, names of friends, pets, siblings, etc. You can pay using your PayPal account or credit card. 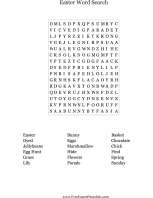 You'll be able to download the customizable Letter from The Easter Bunny within moments.